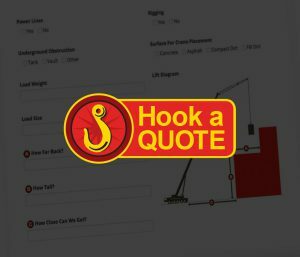 Making sure your project is raised right is our specialty at Wilkerson Crane Rental, starting with some information from you and a quote from us! TPlease complete the form below so we can provide you with an accurate quote. Wilkerson provides custom lift plans to ensure proper equipment rental and safety measures are taken for your project. This means your project will be safe, on time and on budget. Just check out some of the projects we’ve completed. There are a lot of details that go into a lift. Wilkerson Crane Rental wants to make it easy for you to organize and store those details for your reference. Fill out the information below to get a custom quote. Your account will automatically be created, all your details will be saved for future reference, and you will receive a confirmation email. We look forward to working with you!